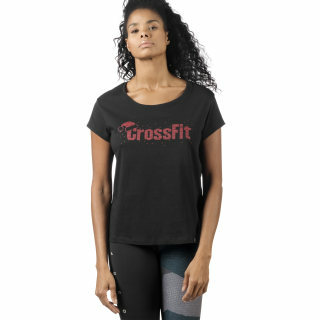 Pull some seasonal spirit into the box with this CrossFit holiday graphic women's tee. Soft cotton and a relaxed fit help make this t-shirt easy to wear under a sweatshirt or all on it's own. A Santa graphic brings some merry cheer into workouts or everyday errands.